Save BIG on this Adorable Vintage Kitchen! 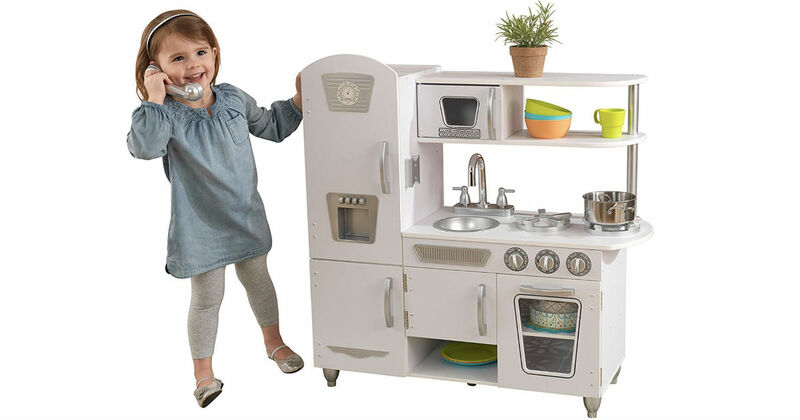 Amazon has this KidKraft White Vintage Kitchen for only $77.99 shipped (regularly $146.93) when you clip the $25 off digital coupon under the price. You'll get free standard shipping when you spend $25 or get FREE 2-day shipping, no minimum if you're an Amazon Prime Member. Have EBIT or Medicaid? You may qualify for a HUGE discount on Prime.